I love recipes like this. Dump everything into the crockpot, and put some rice in the rice cooker. Dinner is served with next to no effort! 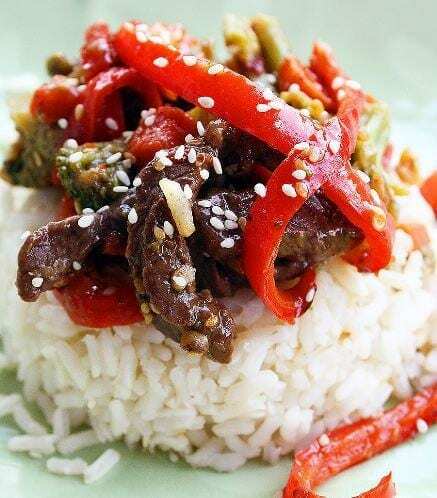 Combine all ingredients except rice in slow cooker. GLUTEN FREE: Look for a gluten free Hoisin Sauce and Broth.